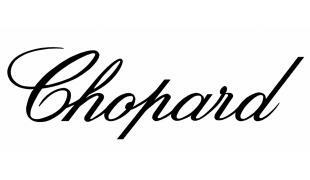 A must-have for lovers of assertive lines and bold design, these striking Chopard sunglasses add panache to any summer look. Gold-tinged brown lenses with graphic rose gold-coloured rims are elegantly balanced by the signature crystal-set Happy Diamonds motifs at the temples. A discreet logo adds a final touch of chic.